This is the first year that ISTP's Chinese Program students are visiting Taiwan on our cultural exchange program. The children are quite excited, and with this blog, I hope to share their adventure with you, and offer some insight into our cultural exchange program. Day 1: After a long journey, we arrived safely in Taipei, Taiwan. On our first day here, the children got up at 6:30 a.m. and we started our adventure. The first thing we did was take MRT (Taipei’s public transportation system) to Nangang station, where the children got to see various murals that were based on the stories of Taiwanese picture book artist Jimmy. Students also had a great time playing at the skateboard park before we got on the bus heading to Yilan. Around 10 a.m. we arrived at Yilan’s traditional culture village. 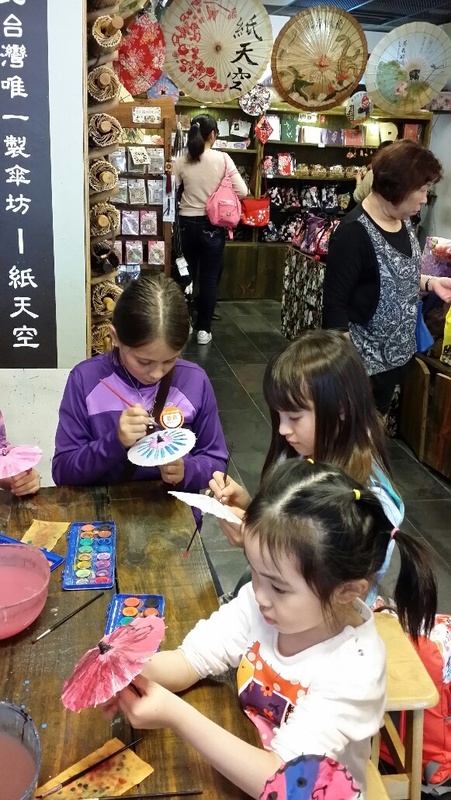 The children visited a variety of stores featuring traditional Chinese art and traditional toys. Some students bought glass art and ornaments to take home as souvenirs. Each child made his or her own DIY umbrella or flute, picking a design and decorating his or her own project. After lunch, we headed to Jimmy's Plaza. The plaza, like the murals we saw earlier in the day, features art inspired by the works of Jimmy. The plaza was filled with life-size statues of the characters in Jimmy’s books, bringing the stories to life all around us. As evening approached, we headed to Pingxi. We had a quick dinner and went to the hot air lantern shop. 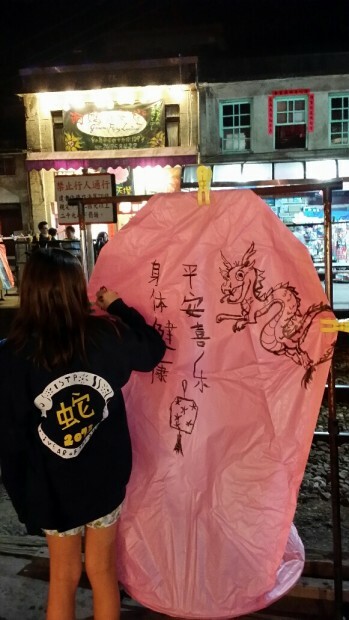 Students got the chance to launch their own flying lanterns, fueled by candles burning inside them. As is the tradition with these special “wishing lanterns,” students wrote blessings for their families on the lanterns before they were launched. 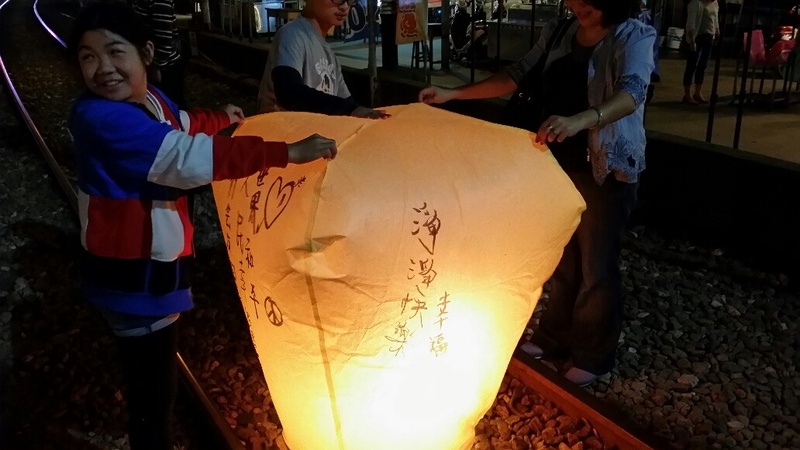 The children were incredibly excited to see the lanterns light up and float into the sky. We were hoping that we might get to see fireflies at night while in Taiwan. Sadly, we found out that because the past winter has been cold, the fireflies are not out yet. By the time we headed back to the hotel, it was 10pm, and the kids fell sound asleep. Day 2: We started our day with a nice breakfast at the hotel. We checked out of our room and left the hotel to visit the National Palace Museum. We arrived at the National Palace Museum around 9 a.m., and we took a guided tour. We saw jadeite figurines, copper cookware, a golden Buddha statue, and numerous Chinese drawings and calligraphy. The children also had the chance to play at the Children's Exploration Center at the National Palace Museum. They competed in games where they had to locate different characters, built a miniature palace, and tried their hand at archeology by fixing different ceramic containers. Before we left, the children shopped for souvenirs in the museum store and took a few group photos in front of the Palace. After lunch, we went to the Taipei 101 tower. On a super speed elevator, zoomed up to the 89th floor from the 5th floor in just 37 seconds. 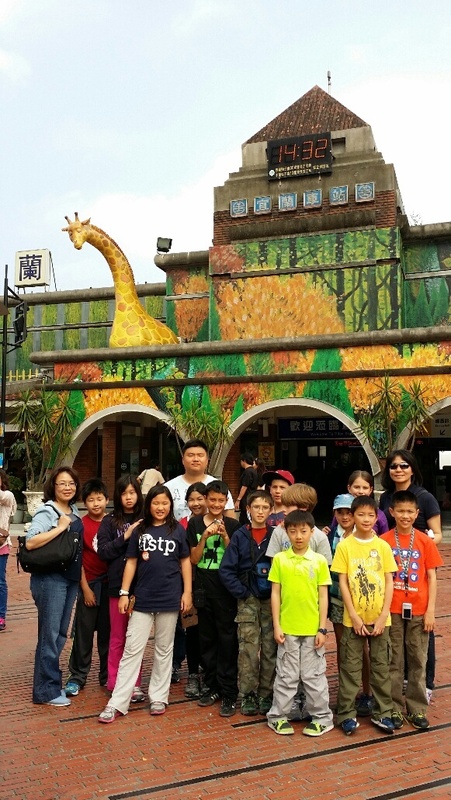 The children looked out at the Taipei landscape, and they learned interesting facts about the 101 tower. Afterwards, we went to Eslite bookstore, a large, famous bookstore chain in Taiwan. The children browsed through lots of books and some of them bought books from the store. Then we headed to Gaoyuan Elementary School. We arrived at the school around five o'clock. The school gave us a very warm welcome. They sang a welcome song, and lavished us with gifts. The children met with their host families, and all the host families had prepared a little welcome gift for the children. After a brief discussion, the children left with their host families. Day 3: Today was our first day at Gaoyuan Elementary School. In the morning, the school welcomed the ISTP students with a big ceremony. Students marched onto the field and sang a welcome song. After their national anthem and flag ceremony, they invited the ISTP students to go up on the stage. Our students introduced themselves, and the teachers were very impressed to see each of them speak loudly and proudly. Next, the Gaoyuan elementary school students put on two performances for us. 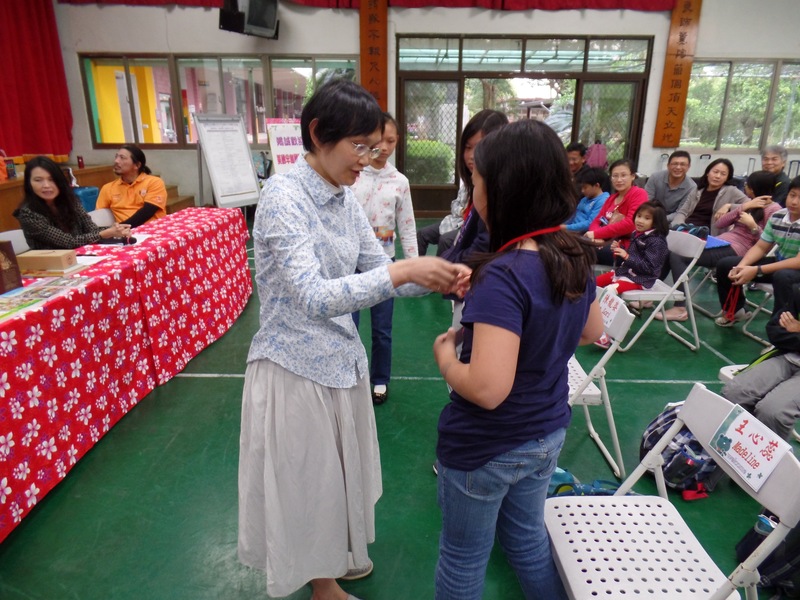 When the welcome ceremony ended, the ISTP children joined their Gaoyuan classmates and started their day. In the afternoon, the students participated in a cultural activity – making the traditional tea of the Hakka people. This tea was first invented during the Three Kingdoms period, and it was traditionally used to help soldiers regain their health. To make the tea, students ground together tea leaves, sesame, peanuts, and soybeans. The tea-making process took around 45 minutes, and the children were very proud of their hard work. Throughout the process, they worked in teams with the Taiwanese students. One of the fourth grade parents also provided homemade mochi for the students to try with the tea. Overall, the children had a great day at school. 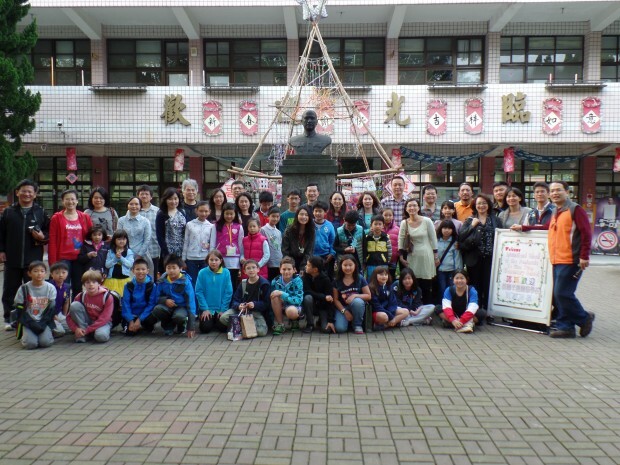 They got a bit closer to their Taiwanese classmates, they worked well together, and they had a great time.